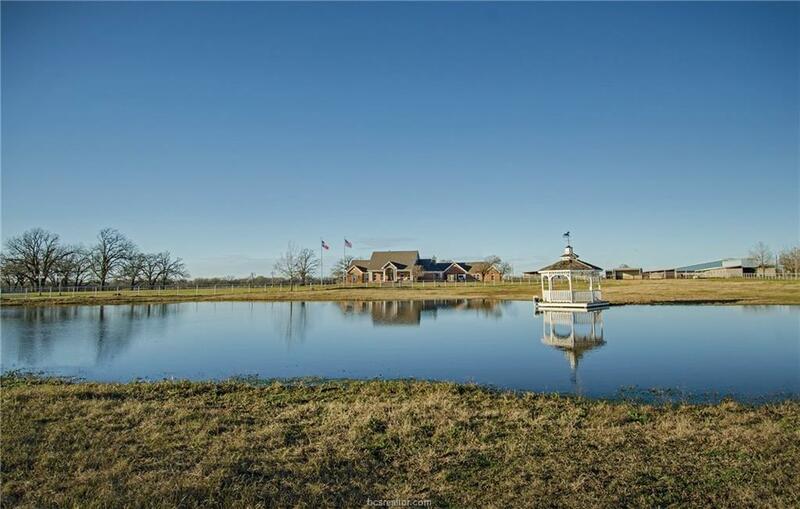 +/-80.8 ac horse ranch, 2 ponds, 3 entrances, mature scattered trees, main home, foremans/guest house & apartment. 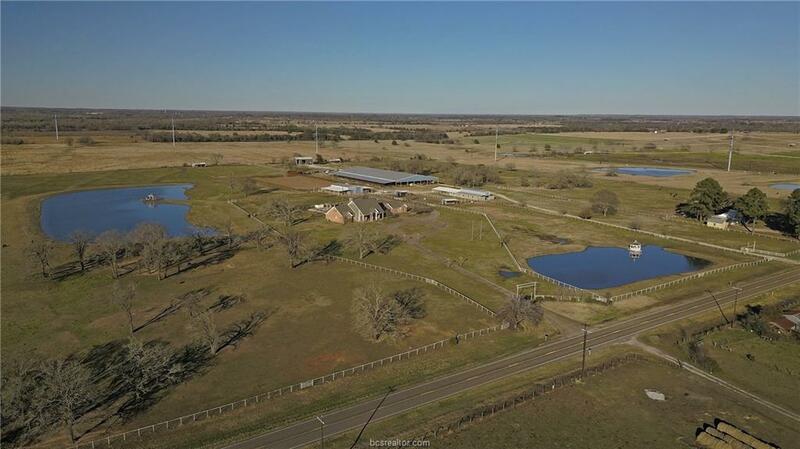 Covered pipe arena (130x275) w/ 14 stalls, outdoor arena (165x325), 10-stall barn, versatile equipment barn (64x60), hay barn w/ 2/1 apartment. Updated main home, +/-5361 SF per MCAD, 5 bedrooms, game rm/6th br, grand foyer, spacious living & open plan. 20 ceilings, extensive crown moulding, plantation shutters, wood & tile flooring. Beautiful outdoor space with pool. 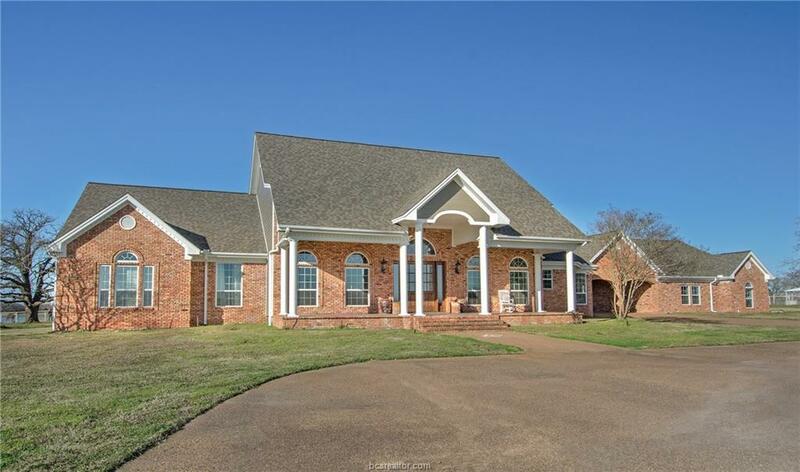 3-car garage attached porte cochere w/ brick archways & concrete driveway. 2/1 foreman's house & +/-297 SF efficiency apartment. 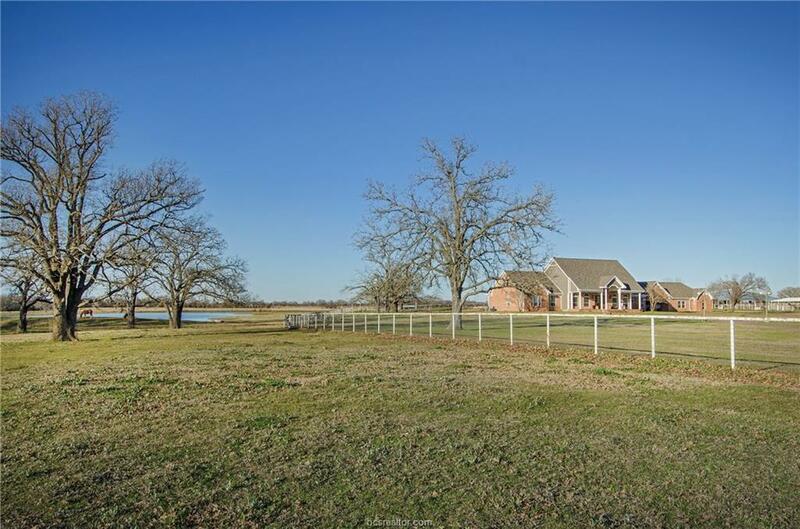 Only 15 miles to I-45 & easy commute to both College Station & Huntsville. Listing information © 2019 Bryan-College Station Regional Multiple Listing Service. Listing provided courtesy of Leroy Hodde of Hodde Real Estate Co.